Organizational success undoubtedly depends on its people. By people we mean their activities - verily, their involvement. When involvement is high, activities are done with a lot of enthusiasm. A low involvement employee performs activities mechanically - as a chore. Enthusiastic activities of involved personnel help generate better organizational outcomes. f) lack of enthusiastic customer service (For eg., a MR who is very involved, is likely to ensure doctor requirements are serviced in a timely manner. However, a MR who has a lackadaisical attitude will not service doctors appropriately). f) other forms of employee resistance. The real challenge for managements and managers is to generate high involvement in a continuous manner. It is a situation where employees willingly and enthusiastically work towards company objectives. Low job involvement or alienation will not produce such an employee behavior. a) Cultural background of candidate: In various cultures, work ethic is interpreted variously. In certain cultures, work is itself considered a reward, there is intrinsic reward in the work being performed. In other cultures, extrinsic rewards help produce required work behaviour patterns and involvement. Hence, while recruiting if possible it is important to assess the work ethic dimension of applicant. A candidate who places high value on the work itself is usually a better candidate. b) Socialization and training process in the organization: The way the new employee encultures in to the organization is the key to successful work behaviour. If the new employee sees low job involvement as an inner organizational trend, the new inductee is likely to pick up such cues and get accordingly ingrained. For eg., certain companies have a club like atmosphere, others have an atmosphere that encourage boss-pleasing, and so on... It is during the entry and socialization experiences that an employee picks up company specific traits. Socialization and training inputs help shape new employee attitude in line with company values, and objectives. c) Self actualization, social need and security need: High job involvement generated by the organization tends to encourage self actualization or the need for employee to tap his or her potential. The enterprise that helps strengthen the individuality of the employee will be better appreciated by the employee, this generates high involvement. Organizations that have systems to provide security and social needs of employees will tend to generate higher employee involvement. The trick is that the organization should be viewed as a purposeful platform for meeting certain important individual needs. d) Job enrichment: When jobs become repetitive and boring, casualness and alienation seeps in like a silent thief. It is imperative that organizations institute training and upgradation skills that help employees enrich their jobs. Interventions that encourage job enrichment (such as new tools for job execution) will prove useful in increasing job involvement. e) Isolation, meaninglessness and normlessness: Jobs that encourage social isolation - that do not strengthen self esteem of employee will see higher degree of alienation. This in turn causes higher employee turnover. Jobs should ideally imbue a sense of meaningfulness in the employee. A MR who sees his job as helping transform the prescriber's practice in a meaningful way, and a MR who gets a sense of success by converting prescribers, will obviously be more successful. On the other hand, when a MR sees his job as a mere routine, and will not see any challenge or meaning in his vocation, will experience a greater sense of alienation, affecting organizational fortunes negatively. Norms of a job should guide the employee behaviour and help the employee realize his individual goals. If the job norms do not help employee reach his social and professional goals, the employee is most likely to abandon the job with a sense of normlessness. e) Coping mechanisms: Coping with the challenges of jobs and the sense of alienation that jobs may create should be understood by managers. Effective coping strategies should then be taught so that employees learn how to cope with the alienation and eventually become more involved. f) Motivational programs: are becoming increasingly important in organizations, as the market place has become very dynamic. Motivation of employee leads to improved job involvement, reduced alienation and better organizational outcomes. Pharma enterprises today face significant employee challenges. 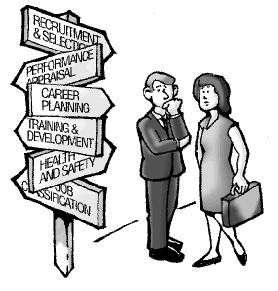 Adequately trained personnel are not picking up pharma jobs particularly in the sales field. Job opportunities in society for the educated are in plenty. Various new sectors are providing jobs to aspirants. Pharma companies have to compete in such situations and attract good candidates. Moreover, the recruited candidates should be moulded in such a way, that they show high degree of job involvement. Further, they should also stay on in the firm. Such are the challenges confronting managers today. This is the nettlesome contemporary pharma scene! Do pharma companies have a cogent strategy to take on the alienation bull by the horns? Thanks for reading this blogpost, please scroll down, click on older posts wherever required for reading the older posts, and kindly do recommend this blog to your acquaintances. providers are becoming more innovative to come up with healthcare solutions and healthcare software product. Thanks for your comments, mobile and software technologies are surely going to transform healthcare delivery and pharmaceutical marketing!